To display social sharing buttons as a floating sidebar, activate the Floating Sidebar share tool from Social Pug -> Toolkit, by clicking the switch button shown in the screenshot below. Once active, click the “Settings” link that has appeared at the left side of the activation switch button. 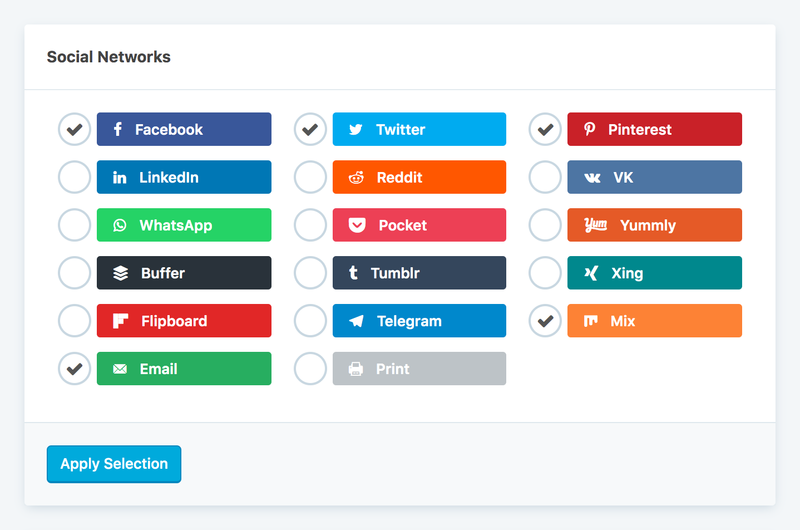 This will redirect you to the Floating Sidebar settings page where you will be able to customize the look and feel of the social sharing buttons. 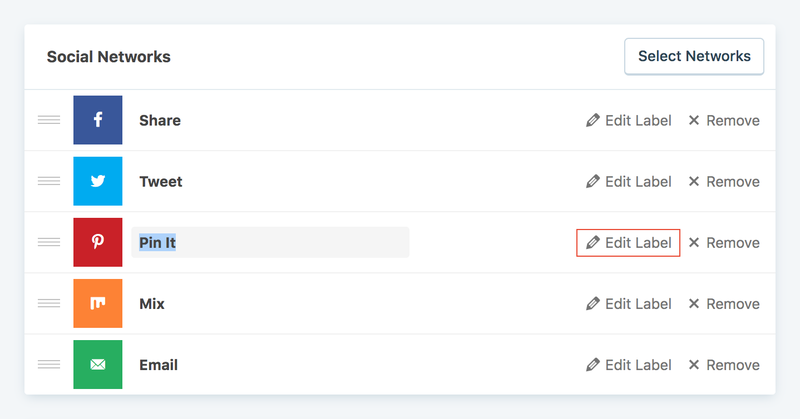 Once you are redirected to the Floating Sidebar’s settings page, the first thing you should do is select what buttons/networks will be displayed to your visitors. To do this, click the “Select Networks” button from the “Social Networks” section. 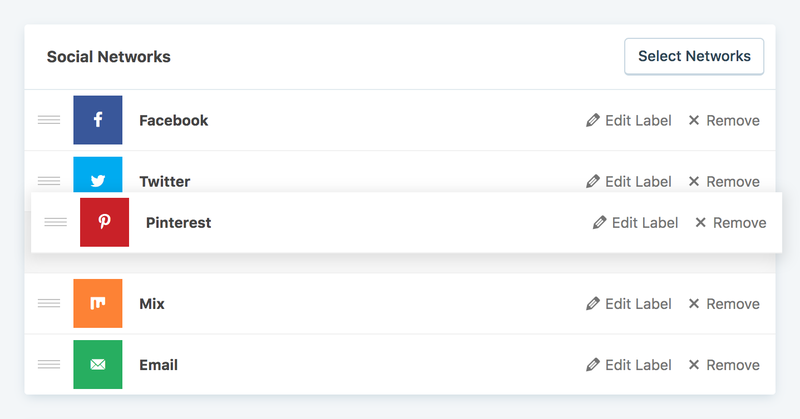 The “Floating Sidebar” share tool has three styles from which you can choose. To select one, hover over the one you like and click it. Button shape: Modifies the shape of the button to the selected one. 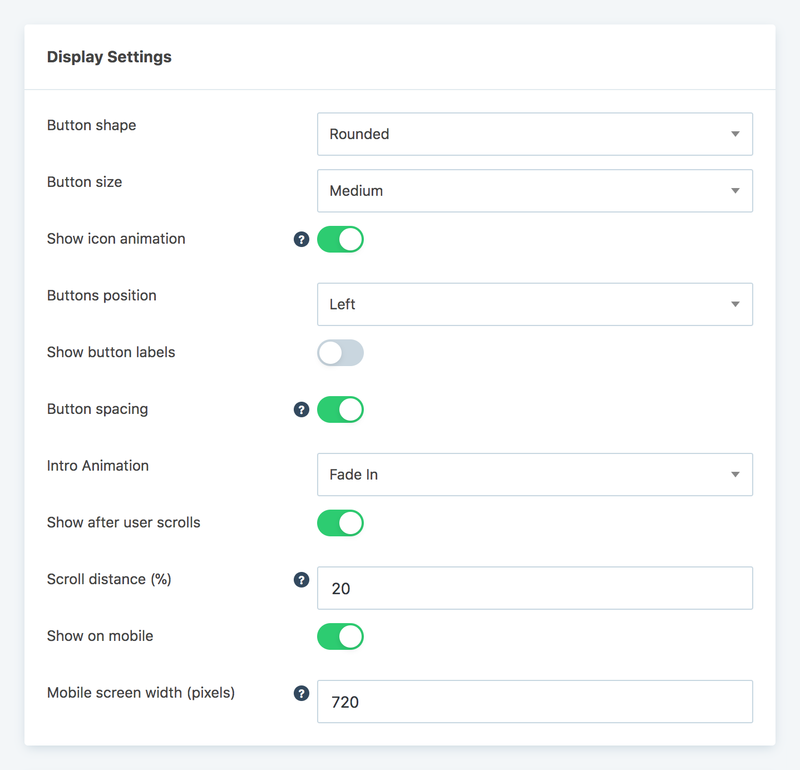 You can select between three shapes: rectangular (square buttons with right angle corners), rounded (square buttons with slightly rounded corners) or circle (circle buttons). Buttons position: You can opt to display the sharing buttons on the left or right side of the screen. Show labels: Whether to show or not the editable labels of the buttons. The labels will display as tooltips when hovering over the button. 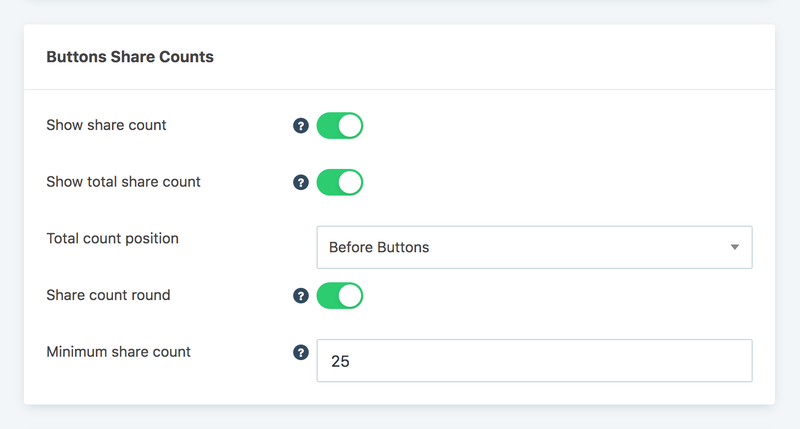 Button spacing: Adds bottom spacing for each button.